You walk into the room with luscious long hair and people around you swoon over your perfect curls. You are literally living your good hair day to the fullest with compliments showering all over you. Meanwhile, the alarm rings and reality strikes. Where have your curls disappeared? All of it was a dream? Sigh! With straight hair, the struggle of curling is very real. Straight hair has a mind of its own. You curl it, try to use some curling gel, or roll it up into a bun for hours – nothing works. 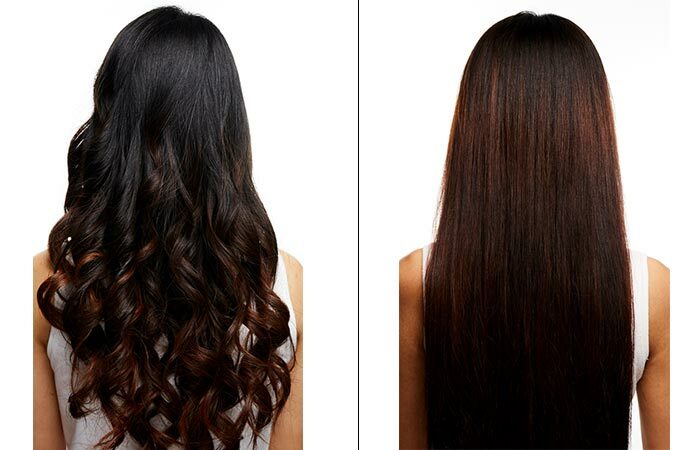 But fret not – there’s a tool that can give you magical curls. Hair rollers! These tiny tubes come in different sizes and designs to suit different hair types. 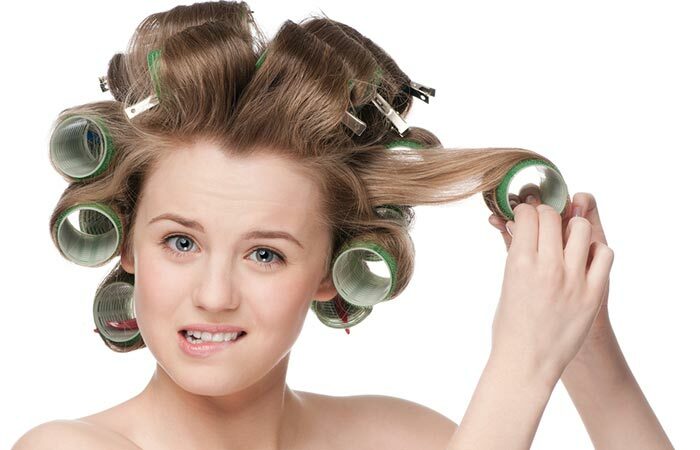 With so many hair rollers in the market, choosing the best one can be difficult. 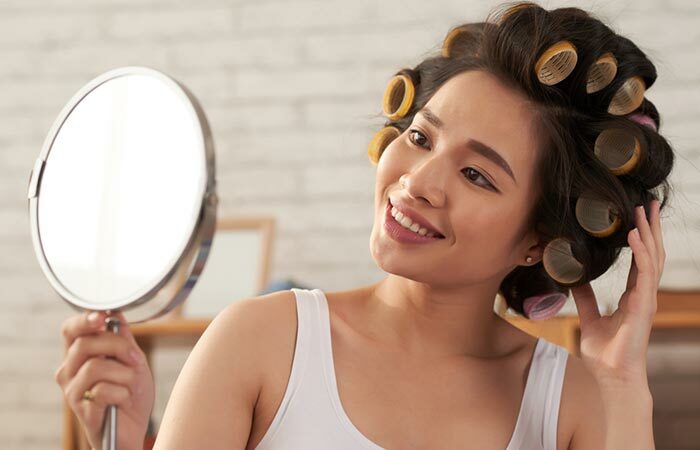 That’s why we have compiled a list of the best hair rollers you can try out right now. Have a look! Conair Styling Essentials Self-Grip Rollers can create bouncy curls without using pins and clips. It comes in various sizes to give you both small and big curls. The set contains 31 rollers. Create your curls effortlessly as the roller can hold both fine and thick hair. It comes with a zippered storage bag that you can carry while traveling. Did you know your hair can be easily styled when moist? 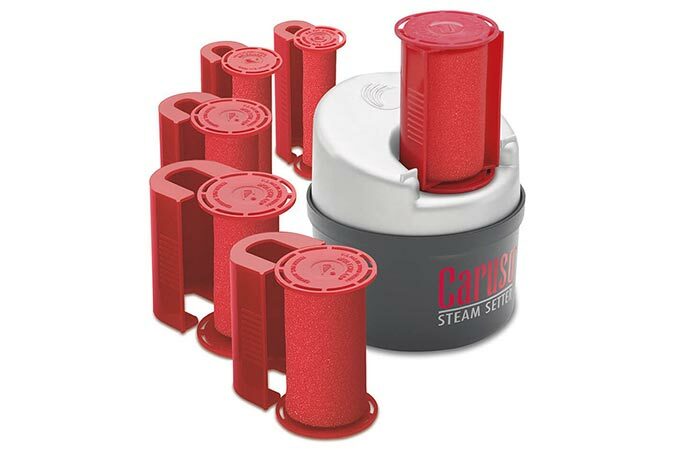 Using that aspect as the key function, Caruso has come up with the steamroller. The soft foam rollers are infused with moisture that penetrates the hair follicles, giving you beautiful curls. As the moisture evaporates, perfectly set curls are unveiled that last for several hours. 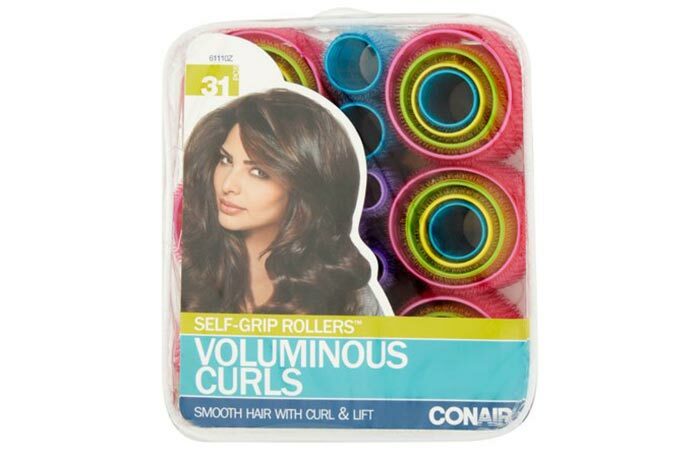 Revive your hair with voluminous curls by using the Conair Magnetic Hair Rollers. The pack contains 50 rollers along with metal clips. These magnetic rollers are made of plastic. This makes wet hair cling onto the surface quickly due to static. 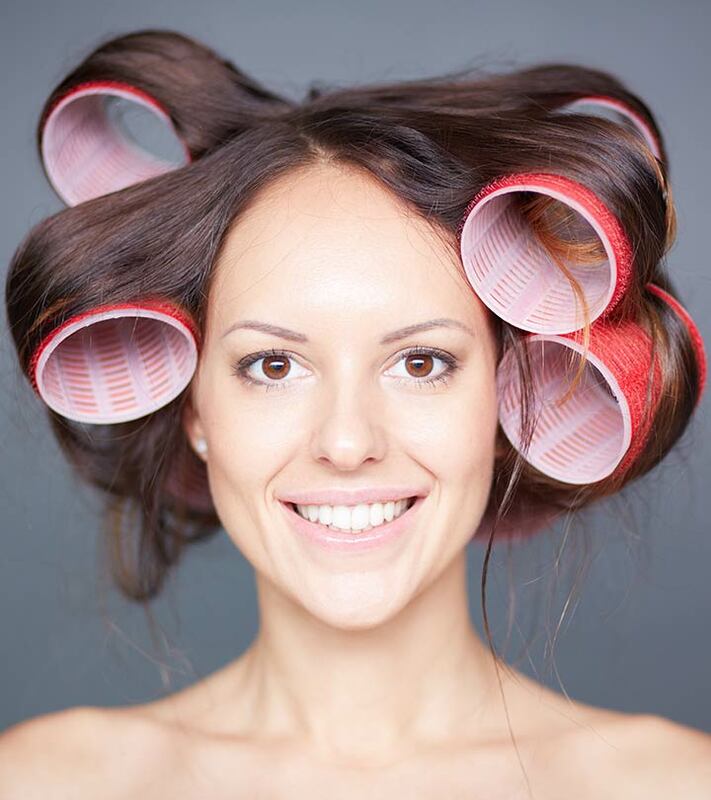 Once you fasten your hair to these rollers, you can pin them up for better grip. This way, you can get satin-silk curls effortlessly. 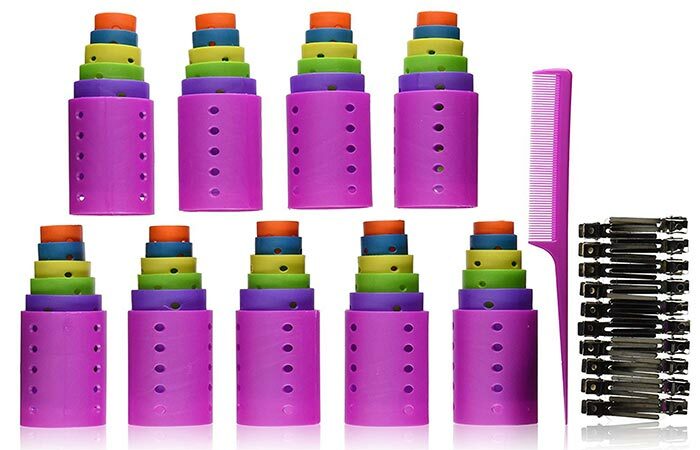 This unique hair roller comes with nylon sleeves. It is ideal for long hair. The nylon sleeves are feathery textured and can be used to secure the hair wound around the rollers. Your hair stays intact and does not unravel. This helps the rollers stay put all through the night. The nylon sleeves help in drying your hair quickly. The rollers can be used with hair dryers and flat irons. Look elegant and chic with luscious curls by using Sleep Styler Hair Rollers. 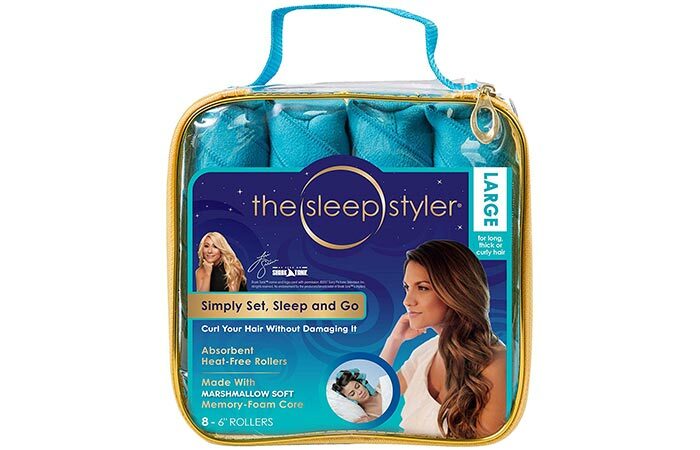 Ideal for busy buzzers, you can now style your hair in sleep and look perfect by the time you wake up. With these super-absorbent heat-free rollers, you can curl your hair without worrying about damaging it. The comfortable and soft bedding provided by these foam rollers helps you sleep undisturbed. They claim to produce smooth and shiny curls in quickly. Ideal for curly, coarse, thick, and fine hair. ‘The girl with the cute curls’ is what you will be named as after using Jumbo Spoolies. 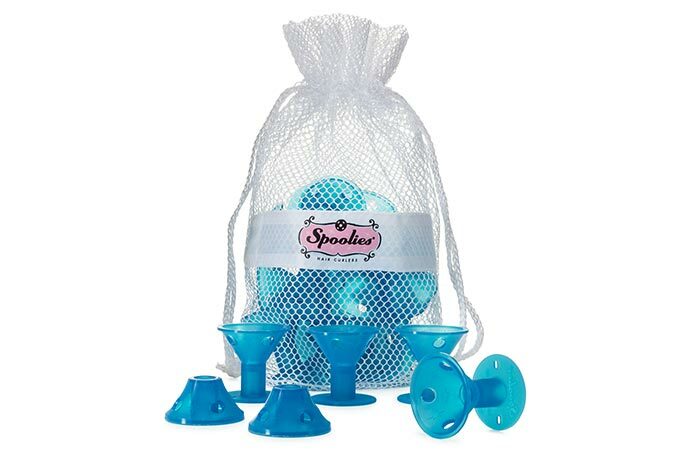 Spoolies are a kind of rollers that rose to fame during the 50s and 60s. They create classic curls that are fun to wear and easy to use. Spoolies have made a comeback to give you curls with a modern twist. These fun shaped rollers are zany and easy to use. Wrap your hair around the roller, and snap top-down cap in place. This protects your hair from damage and keeps them in place while you sleep. These flexible, lightweight, and soft curling rods come in a pack of 42 that are distributed in 7 colors. Each color is a different size. This helps you create curls and waves of different sizes and styles. Twist your hair, wrap it around the roller, bend the rod in your desired direction, and fasten it by tying a knot. This way you can get bouncy and beautiful curls effortlessly. Rock your curls even while you travel as these rollers come with a convenient portable bag. 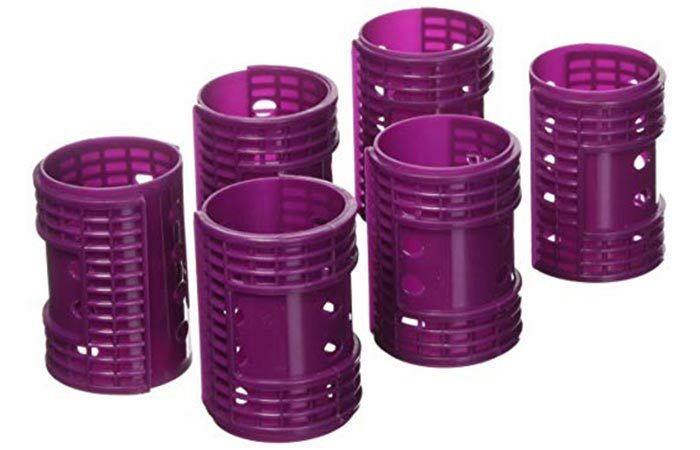 These sturdy, non-breakable hair rollers are perfect for creating soft and smooth curls. Their grooved edges secure your hair in place without making it frizzy. Wrap your hair around the roller, secure it with the roller cap, and let it sit for 30 minutes. You will be surprised to see stunning and gorgeous curls unfold. They come in a pack of 6 rollers, each 2 inches long. They are ideal for thick and coarse hair. 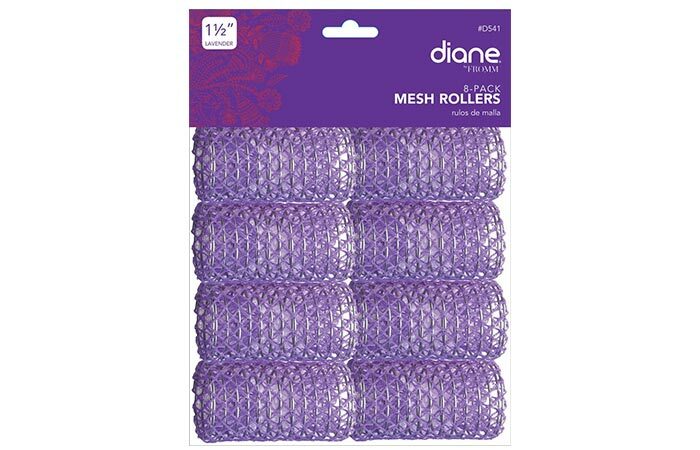 Craft your curls with perfection by using these Diane Mesh Rollers. These rollers keep the airflow going and quicken the drying process. They claim to give you soft and bouncy curls that last until your next wash. 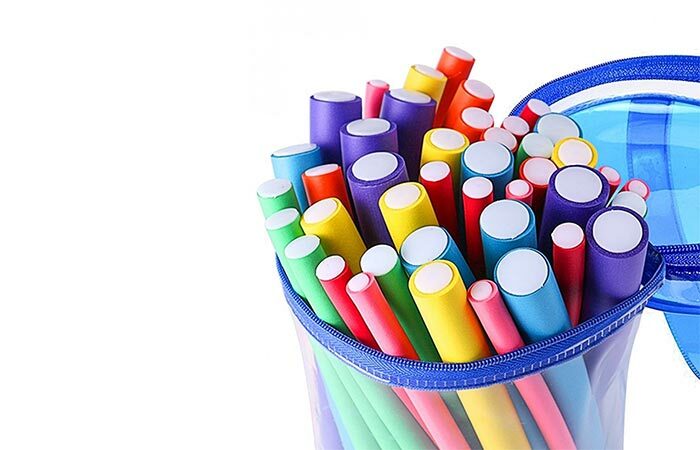 They are lightweight and their results are long-lasting as they contain a layer of spiral wires embedded within. 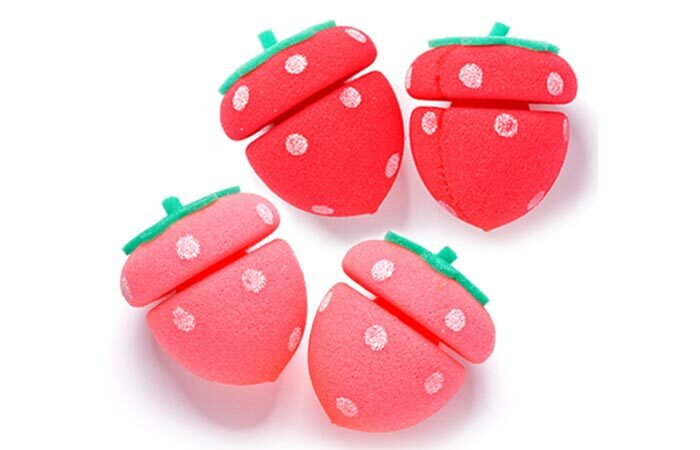 These cute strawberry-shaped foam rollers are perfect for styling your hair in beautiful ringlets. Since they are made with cotton, they are gentle on your hair and protect them from frizz and damage. 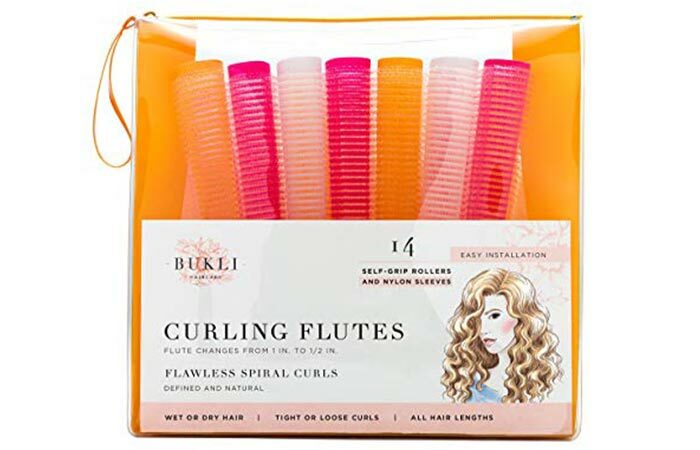 These curlers claim to give you vivacious waves within a short span of time. Little kids can use these soft textured and damage-free hair rollers. Roll them up and go to sleep, and wake up with flawless curls. With the best products on the table, let’s get you familiarized with the steps to follow while using them. Clean hair is easier to style. Oily hair can be difficult to work with. You also don’t want your hair to look greasy after curling it. 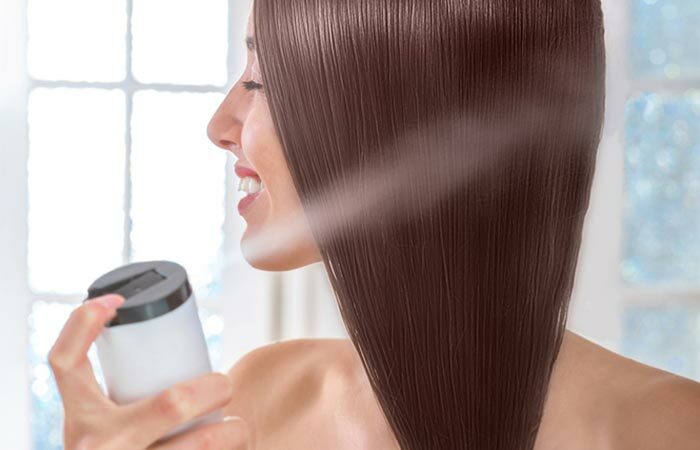 Dampen your hair with a setting mist. If you are using velcro hair rollers, hair sprays or mists will protect your hair from getting frizzy. Also, wet hair can be styled quickly and will give you defined curls in no time. This helps in finishing up the curling process quickly. It will also give you neater curls. 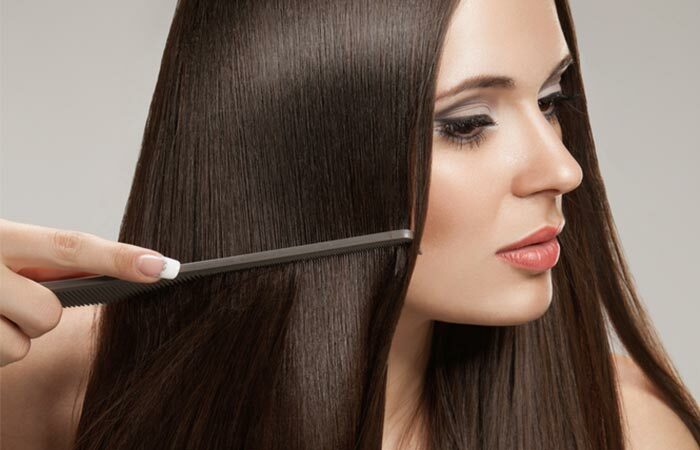 By creating small sections, you will be able to work with your hair in lesser time. No chaos; only curls! Depending on the type of curls you want, you can choose the size of the roller. Large rollers give you wavy curls, and smaller ones give you tight curls. Wrap your hair around the roller, roll it up, and secure it with a pin or a clip. Let it sit for about 45 minutes. Unwrap to see the magic. It’s entirely up to you to go heatless while air-drying your hair. 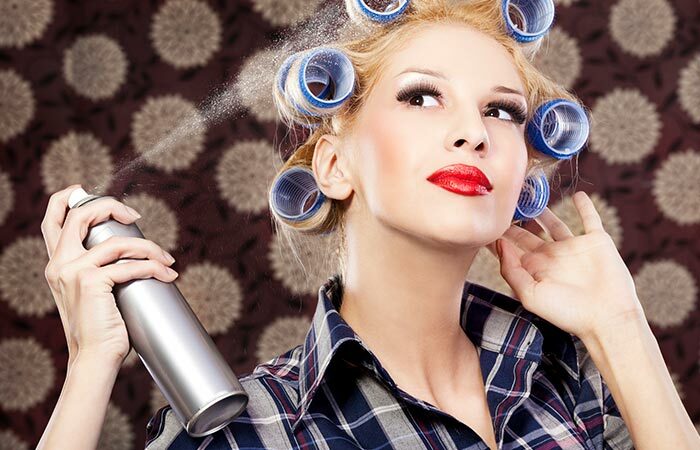 Once your hair is wrapped and secured in place, spritz on some hairspray. This step saves time and gives quicker results. This is the tricky part. Unwrap one roller at a time and unravel them slowly. 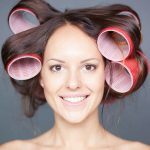 Unwinding the rollers in a quick motion can create tangles and frizz. 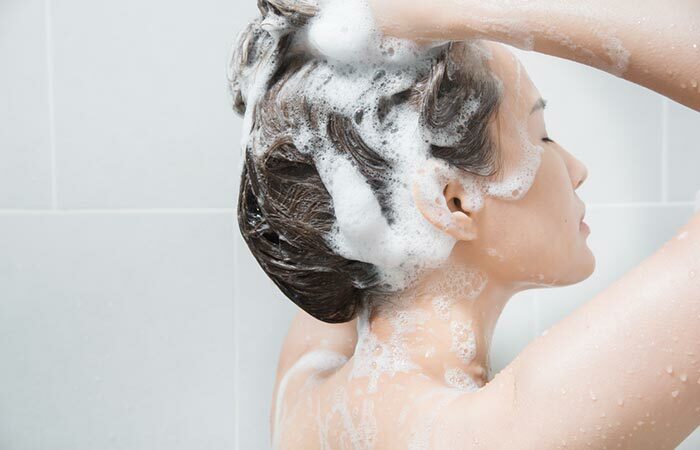 Gently loosen the curls by shaking them up with your fingers. Often, they turn out too tight or uneven. Hence, run your fingers from the roots to the tips and spread them evenly. This will give you glossy and gorgeous curls. For the final touch, set those stunning curls with some hairspray. This will hold the curls in place and help them last longer. Rock your curls like a boss by using these hair rollers. Which one(s) are you going to try out? Comment below and let us know about your experience!